Irelands premier competition and event facility. LONGINES National Grand Prix Show. LONGINES are official watch partner to Ravensdale Lodge. SRNC International Student Riders Nations World Cup Final, Pony Spring Tour Grand Prix, HSI / Bluegrass Spring Tour Grand Prix, RDS Amateur Qualifer, National Grand Prix, Eventing Ireland, FEHL (Future Event Horse League). 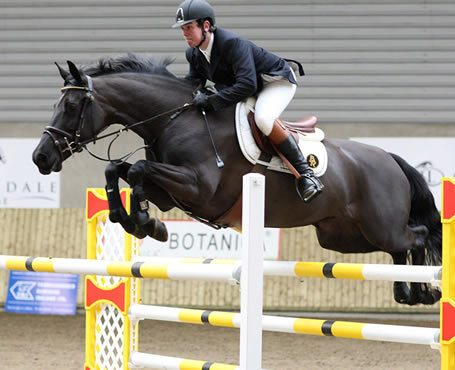 Throughout the course of the year, Ravensdale Lodge plays host to many competitions which cater for every code of equitation, show jumping, dressage and cross - country. We also have competitions to cater for every level of ability, from World Champion or Olympian to riding / pony club members and pleasure rider. Competitions include, registered and unregistered show jumping for horses & ponies, arena eventing, le cross, dressage leagues, combined training, working hunter, cross - jump, cross - country schooling, "Go as you Please" days, Eventing Ireland and FEHL (Future Event Horse League). We would very much like to thank the following for their generous and valued sponsorship throughout the year. Horseware Ireland, Weir & Sons Jewellers, Horse First, The Showjumpers Club, Louth County Council, Louth County Enterprise Board, The Carrickdale & Canal Court Hotels, Exitex Ireland, Tullyraine Equine Clinic, Crowne Plaza Dundalk, Mc Caughey's 24 Hour Service Station, Ballymascanlon House Hotel, The Cemac Group, MSL Mercedes-Benz, Linen Green Designer Village, BeepBeep.ie, Mackins Horse Feeds, Moorhill Saddlery & Gem's Embroidery Services. National Enterprise Award Winners for Industry Excellence 1997, 2002 & 2007. Nominated for "Show of the Year" 2009, 2010, 2011 & 2012. Our world - class facilities (see facilities section) are available to hire by groups, individuals or sports governing bodies for training purposes. Click on the "Blog" icon to view all our forthcoming events or competitions. Click on the "Offers" icon to view any deals or discounts currently on offer. Click on the "Results" icon to view all competition entries and results.